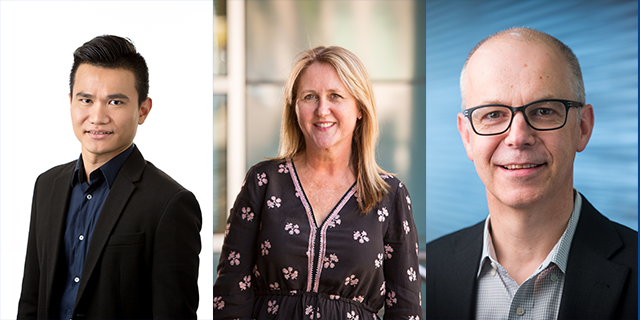 Professor Mark Jenkins, Dr. Aung Ko Win and Dr. Jeanette Reece from the Colorectal Cancer Unit of the Centre for Epidemiology and Biostatistics contributed to a new book "Hereditary Colorectal Cancer: Genetic Basis and Clinical Implications" published by Springer International Publishing in June 2018. Together with other world-leading experts in the colorectal cancer genetics field, Centre's researchers led in writing the following three chapters of the book. This new book provides information on a wide variety of issues ranging from genetics to clinical description of the syndromes, genetic testing and counselling, and clinical management including surveillance, surgical and prophylactic interventions, and chemoprevention. Moreover, current challenges we face such as the identification of novel causal genes and the relevance of cancer risk modifiers, both genetic and environmental, are also discussed. This reference book is relevant for geneticists, oncologists, genetic counsellors, researchers, clinicians, surgeons and nurses dedicated to, or interested in hereditary cancer. Internationally recognised experts in the field have contributed to this book, ensuring updated information, accuracy and the discussion of topical issues. The book is available here.